FORT LAUDERDALE/DAVIE, Fla. – When describing an upcoming research trip for Nova Southeastern University (NSU) scientists, ambitious is a bit of an understatement. OCEARCH, which has earned acclaim for its research in to great white sharks, has invited scientists from a number of other organizations to join them for a unique trip up the Gulf Stream. What makes this expedition unique and ambitious is that (1) the vessel will drift up the Gulf Stream from Key West, FL to Cape Hatteras, NC (yes, the Gulf Stream’s current will carry the boat northward,) and (2) it involves nearly 40 researchers from 27 different institutions. Kerstetter’s areas of research include fisheries biology, fishing gear conservation engineering and fisheries policy. For this trip, at-sea fieldwork will be conducted by fellow NSU professor and researcher Christopher Blanar, Ph.D. and NSU graduate student Dayna Hunn and undergraduate student Emily Hoeflich. The NSU team’s project is Sargassum Community Assessment of the South Atlantic Bight. The researchers hit the high seas from Key West on Sun., May 27 with the vessel – the M/V OCEARCH – scheduled to complete the 820 mile journey and dock in North Carolina on Tues., June 14. This is the first time NSU research scientists are joining with those of OCEARCH – and, hopefully, it’s the start of continued collaboration as we all work to better understand the largest ecosystem on Planet Earth. 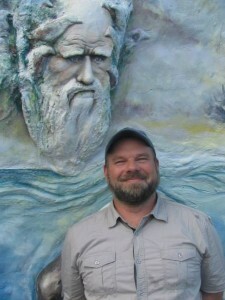 Christopher Blanar, Ph.D. is an Associate Professor of parasitology and aquatic ecology at Nova Southeastern University. His research focuses on the environmental factors that structure parasite communities in aquatic organisms. He also uses parasites as tools to study larger questions about ecosystem processes and ecological health. His projects typically involve some combination of fieldwork in critical Florida habitats (Everglades, mangrove swamps, coral reefs, sargassum mats), laboratory-based work, and the use of multivariate statistics. He has also conducted research on nematode biocontrol, parasite-biogeography, and host-pathogen interactions. Emily Hoeflich is originally from Gulf Breeze, Florida. She is an undergraduate student majoring in marine biology in NSU’s Halmos College of Natural Sciences and Oceanography, where she is also a member of the Honors College. Dayna Hunn is a graduate student at NSU’s Halmos College of Natural Sciences and Oceanography, where she is working towards a master’s in marine biology. 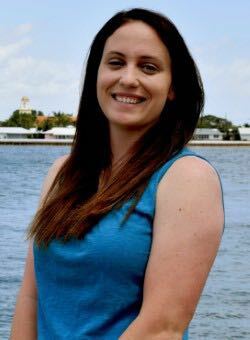 While at NSU, she has worked on a research project that involved characterizing the parasitic fauna of the Atlantic sharpnose shark (Rhizoprionodon terraenovae). She’s currently working under David Kerstetter, Ph.D. and Christopher Blanar, Ph.D. in the Fisheries Laboratory. 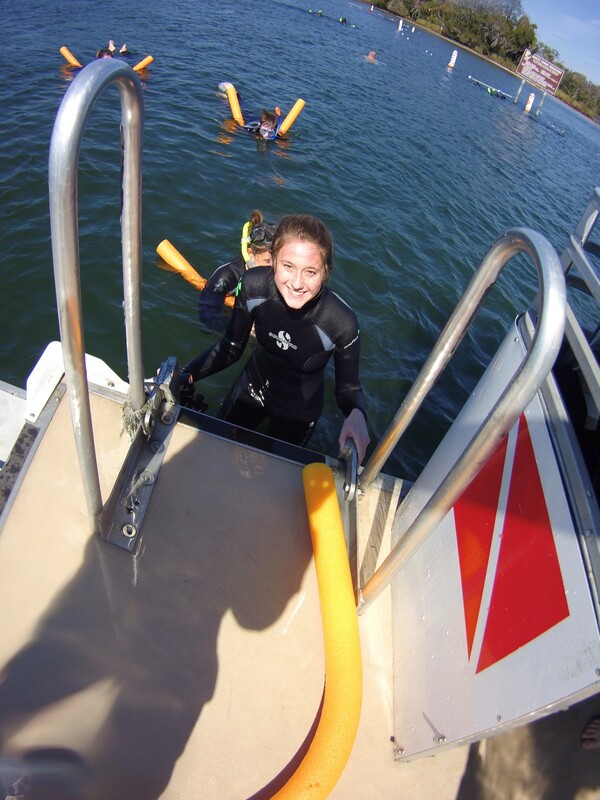 Her thesis project involves characterizing the complete Sargassum community as well at the parasitic fauna of the Sargassum associated organisms and looking at how these communities change with geographic location and patch size. After graduation, she plans to pursue her Ph.D.
About Nova Southeastern University (NSU): Located in beautiful Fort Lauderdale, Florida, NSU is ranked among U.S. News & World Report’s Top 200 National Research Universities and is a dynamic, private research university providing high-quality educational and research programs at the undergraduate, graduate, and first-professional degree levels. Established in 1964, NSU now includes 16 colleges, the 215,000-square-foot Center for Collaborative Research, a private JK-12 grade school, the Mailman Segal Center for Human Development with specialists in Autism, the world-class NSU Art Museum Fort Lauderdale, and the Alvin Sherman Library, Research and Information Technology Center, which is Florida’s largest public library. NSU has campuses in Fort Lauderdale, Fort Myers, Jacksonville, Miami, Miramar, Orlando, Palm Beach, and Tampa, Florida, as well as San Juan, Puerto Rico, while maintaining a presence online globally. Classified as a research university with “high research activity” by the Carnegie Foundation for the Advancement of Teaching, NSU is one of only 50 universities nationwide to also be awarded Carnegie’s Community Engagement Classification, and is also the largest private institution in the United States that meets the U.S. Department of Education’s criteria as a Hispanic-serving Institution. Please visit www.nova.edu for more information about NSU. About NSU’s Halmos College of Natural Sciences and Oceanography: The college provides high-quality undergraduate (bachelor’s degree) and graduate (master’s and doctoral degrees and certificates) education programs in a broad range of disciplines, including marine sciences, mathematics, biophysics, and chemistry. Researchers carry out innovative basic and applied research programs in coral reef biology, ecology, and geology; fish biology, ecology, and conservation; shark and billfish ecology; fisheries science; deep-sea organismal biology and ecology; invertebrate and vertebrate genomics, genetics, molecular ecology, and evolution; microbiology; biodiversity; observation and modeling of large-scale ocean circulation, coastal dynamics, and ocean atmosphere coupling; benthic habitat mapping; biodiversity; histology; and calcification. The college’s newest building is the state-of-the-art Guy Harvey Oceanographic Center, an 86,000-square-foot structure filled with laboratories, office, seminar rooms, an auditorium and indoor and outdoor running sea water facilities. Please visit cnso.nova.edu for more information. About OCEARCH: A recognized world leader in generating critical scientific data related to tracking (telemetry) and biological studies of keystone marine species, such as great white and tiger sharks, in conjunction with conservation outreach and education at a measurable global scale. OCEARCH shares real-time migration data through OCEARCH’s Global Shark Tracker – In 2015, OCEARCH open-sourced the data on the Global Shark Tracker to over 15 million users. In partnership with SeaWorld, Costa Sunglasses, and YETI Coolers, the researchers OCEARCH supports work aboard the M/V OCEARCH, a 126’ Cat-powered vessel equipped with a 75,000 lb. hydraulic research platform, where the ship serves as both mothership and at-sea laboratory. Scientists have approximately 15 minutes of access to large, live sharks to conduct about 12 different studies. The sharks are measured, tissue and blood samples are collected, and satellite and acoustic transmitters are attached. More than 168 researchers from 90 regional and international institutions have partnered with OCEARCH over the past 10 years. Please visit www.ocearch.org for more information.